TSI is the nationally recognized, federally licensed, professional moving company that can help. At TSI, our Arkansas shipping specialists understand that people don’t ship or things every day. In fact, many of our customers have never worked with professional shippers before — that’s why we walk you through the whole process. We answer questions, explain procedures, and meet your needs in a way that makes moving simple. Whether you’re shipping furniture, freight, antiques, or specialty items, TSI handles your items with care. Because of our mission to make shipping easier and more affordable than clients expect, we pass our volume discounts with national shipping companies to you. This allows us to get you the best service at the best price. 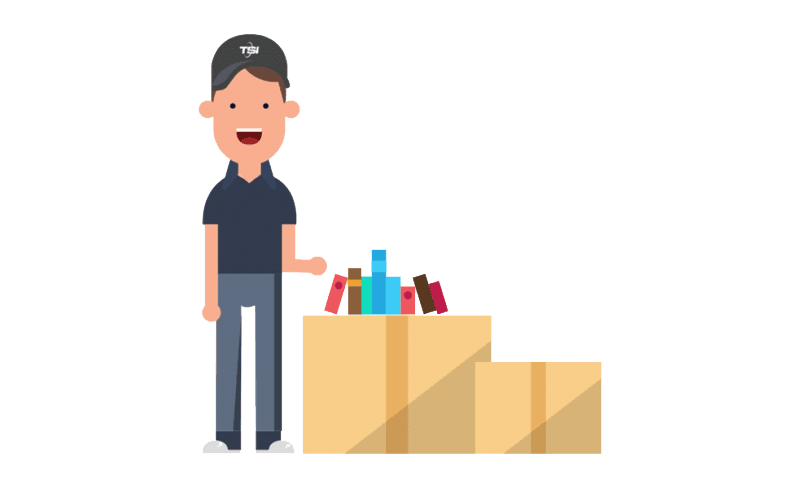 To give you an idea of the types of items we ship, here are some examples: living room furniture, dining room furniture, kitchen appliances, bedroom sets, pianos, grandfather clocks, tables, chairs, rugs, fragile or valuable items, antiques, artwork, kennel cages, and pallets. If you have something to ship and you aren't sure if we can take it, just get in touch! Chances are, we'll be able to help. Choose from two types of service. On some jobs, you might want the fastest moving service possible. On others, you might want a higher-touch service that saves you potential headaches and issues. In either case, TSI has you covered. Here are our two main services, designed to cater to your needs. Economy: When you have something to move that’s too big for traditional parcel services but too small for a full truck, it’s just right for Economy service. This curb-to-curb option is a fast, affordable, reliable way to move items from one place to another. You box or crate your items yourself to save money. Ask about our Economy Select and Economy Plus packages if you're short on time. White Glove: With White Glove service, we handle everything for you. We come to your location, prepare your furniture-type items, load them, transport them, unload, and deliver inside. You don’t have to worry about anything, and you know your belongings are in good hands. Whether you relocate apartments with our Economy service or enlist help for shipping a piano via White Glove service, working with TSI means service catered to you. Thank you for such an amazing experience! My mattress and box springs came in a timely manner and were in the same condition as when I sent it. Very pleased with TSI. I researched shipping companies. After talking to Tom Tract several times, I was convinced that this company was the most trusted to ship some special heirlooms from Georgia to California. All personnel involved in this move were professional and friendly. All furniture arrived in good shape. Both teams of men did a fabulous job! We met one team in Colorado and about ten days later we met the other team in California. Voila! Our furniture and other items had been driven over the mountain for us! Fabulous! It felt almost like magic! Many thanks to the hard-working people who made this all happen! Need to ship into or out of Arkansas? 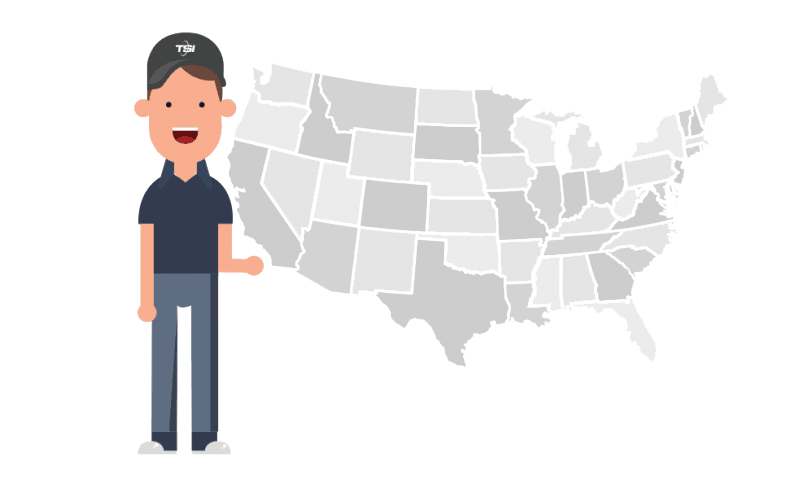 Give our interstate shipping specialists a call at 1-800-626-1257. Or you can request a quote online now.